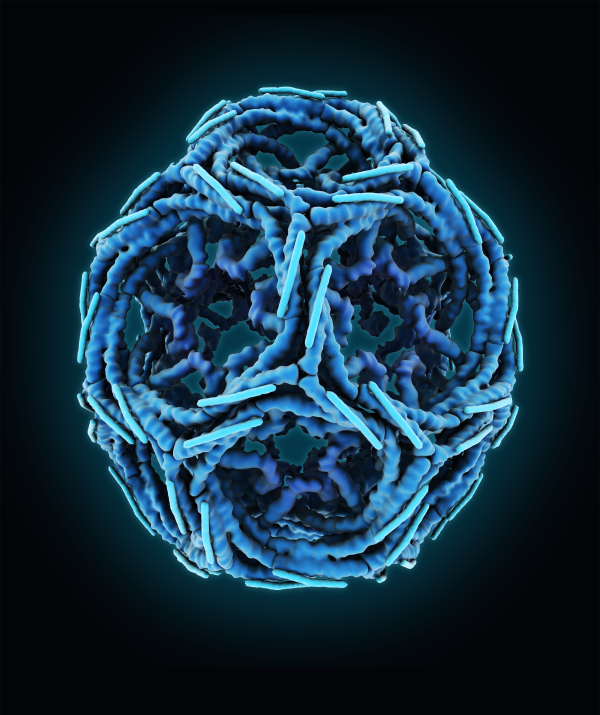 Maria Voigt's illustration of Clathrin, created for the Art of Science traveling art exhibit, was recognized by the 2016 Wellcome Trust Image Awards. Three-armed clathrin triskelions are used to build molecular cages involved in transport. Visit Molecule of the Month: Clathrin for more information.